The Halloween Pumpkinliner Train is Coming! 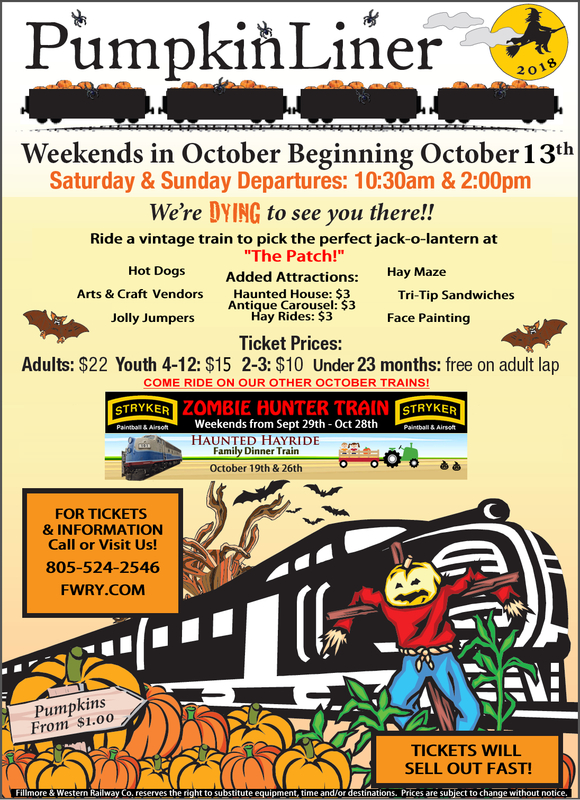 HALLOWEEN PUMPKINLINER, HAUNTED HAY RIDE DINNER & MORE! Fillmore & Western Railway (FWRY).